Finding the cable management solution you have been searching for couldn’t be easier with DP Building Systems. 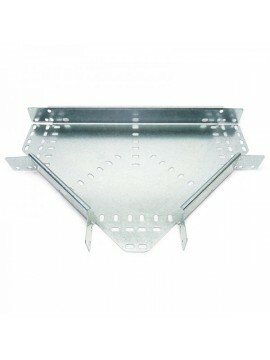 In addition to providing a number of cable tray products, including straight cable trays, 90 degree flat bends, adjustable risers, flat 45 degree bends, internal risers 90 degree, external risers 90 degree, flat tees, crossovers, reducers and couplers, at the most competitive prices, we also stock equal tee cable trays in a variety of light, medium and heavy patterns. Our equal tees are available in a number of heights – such as 24mm, 48mm, 72mm and 96mm – and in a range of standard finishes. You can choose from pre-galvanised or hot dip galvanised, whilst a stainless steel finish is also available upon request. Made by Unistrut and cut to size by us, you can discover a unique and comprehensive service right here, and from our Birmingham and London based cutting facilities we can deal with large quantities and accurately alter equal tees along with a host of channels, trays and rods to the highest possible standard, regardless of their finish. Off cuts are also available across our range. 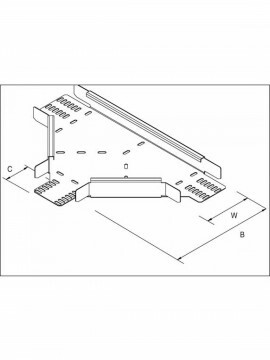 View our equal tee cable trays today by clicking the products below for additional details.